In our age of new technologies more and more people experience cravings for retro things, which allow us to see the beauty in details, feel the charm of the old, evaluate the full significance of individuality, which lived for ages. Retro objects take a special place in today’s trendy vintage style. They are created by analogy with the products of old times. They have personality and a special power of noble antiquity. But, unlike authentic “collectible” things, retro analogs are quite affordable for enthusiastic people with average incomes. 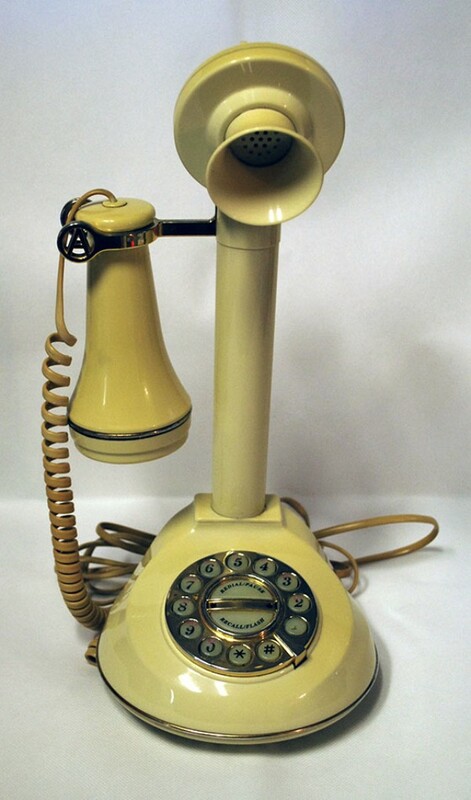 Today, we invite you to the fascinating world of retro phones. 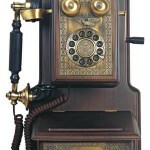 They are created as replicas of old rotary dial telephones and attract the attention of many connoisseurs. 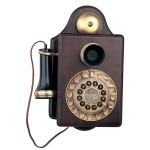 It is prestigious to use retro in the era of mobile phones. 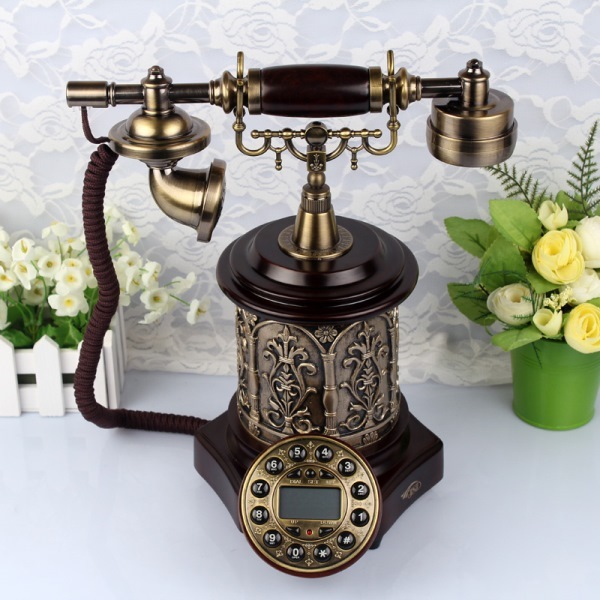 If you like truly exclusive things or want to make a spectacular gift, then a retro phone will be a good investment in your image and emphasize the exacting taste. – Refinement of finishing (based on classical analogs and using ancient techniques of decoration). 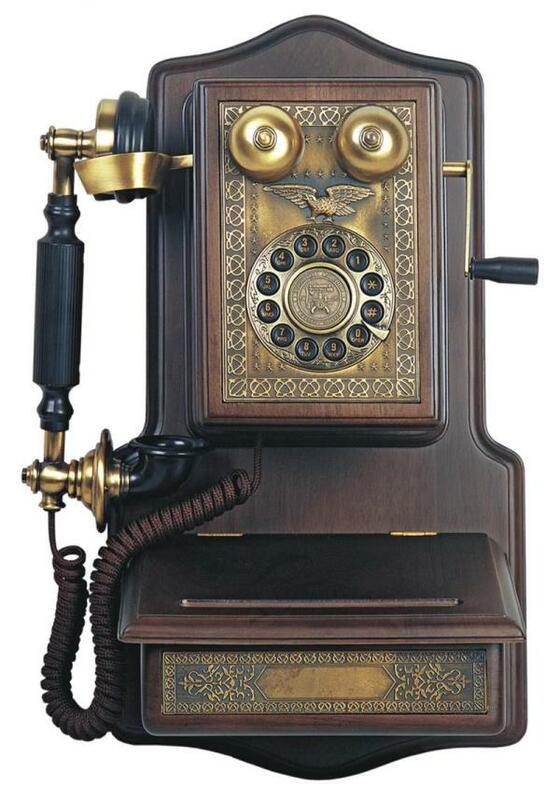 Manufactures of vintage phones copies use noble materials: wood, metal (brass and bronze), stone (marble, onyx, malachite), leather and mother of pearl. 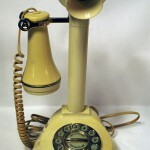 Retro phone’s cord is often decorated with silk. 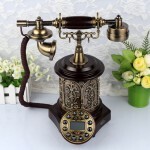 Usually, vintage telephones are opting for traditional respectable directions: French “high classics” (Baroque, Rococo and Empire) and English cabinet style. They also look no less interesting in the chic Art Deco and glamor interior designs. A cabinet of a solid businessman or a business woman requires more restraint and elegance. 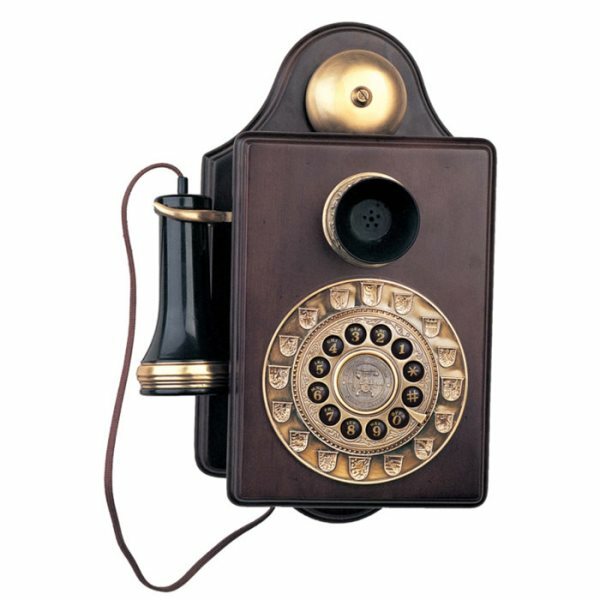 Retro phones of precious wood and metal, with leather decor look organically in its interior. If you want to add a touch of romantic vintage, you should look for graceful retro telephones in pastel shades or white color. Sometimes they draw attention by the unusual color pallet combined with the simplest shape. And if you like to scan the details, choose the model with fine stucco elements – flowers or figures.